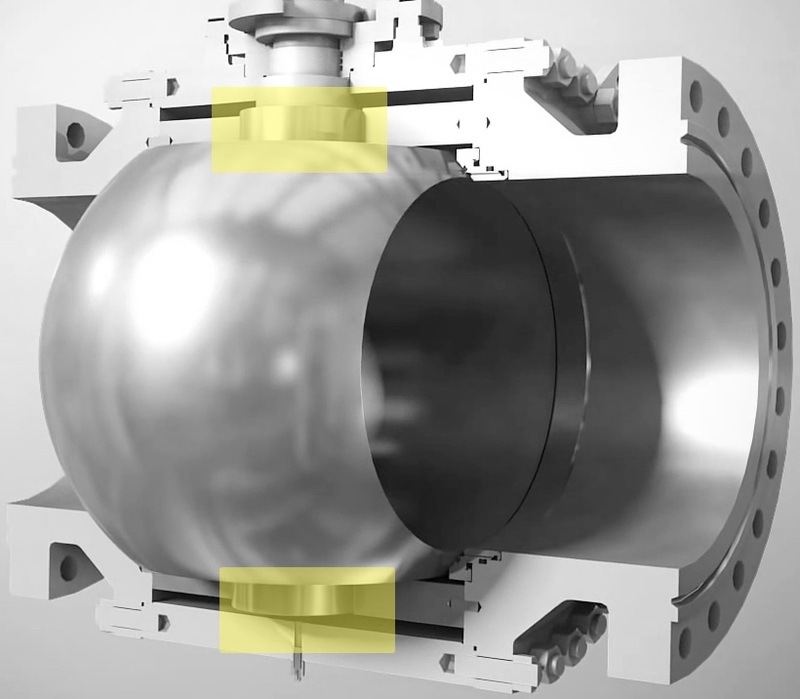 The video below demonstrates the effectiveness of the MOGAS "Mate Lap" seal provided on MOGAS severe service ball valves. MOGAS valves have outperformed others worldwide in some of the most severe service conditions, including: Extreme temperatures; High pressures; Abrasive particulates; Acidic products; Heavy solids build-up; Critical plant safety; Large pressure differentials; Velocity control; Noise control. What Are Industrial Ball Valves? 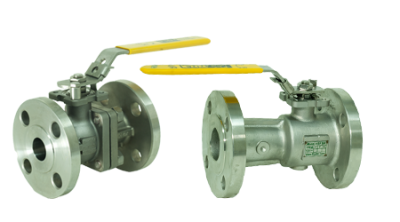 Ball valves are defined by their body style, the five major styles being: Uni-body; 3-piece; split-body; top-entry; and welded body. They are further defined by the machined hole in their ball (also known as the port); the categories being "standard port" or "full port". On a full port valve, the port is the same size as the pipeline, resulting in a better flow profile and no restriction or pressure drop. A full ported ball valve, with better flow coefficients, comes at a higher price. In many application they are necessary because a reduction in diameter, or the resulting change in flow, can be detrimental. The reduction in a standard port valve is one pipe size smaller than the pipe connected to the valve, resulting in restricted flow and increased velocity through the valve. non-linear flow characteristic. Characterizing the port with a special shaped orifice can improve the valve linearity and provide good control. V-port ball valves incorporate a machined "V" in the seat around the outlet side of the valve. The "V" provides a more controllable flow pattern and is desirable when ball valves are used as control valves. A cavity filled ball valve is used in applications where cleanliness or sanitary conditions exist. Any voids, gaps or spaces between the ball, seat and stem that allow bacteria or contaminates to accumulate are filled. The proper cavity filler material is selected consistent with the process media, application and level of cleanliness required. Cavity fillers eliminate the spaces and voids where contaminants accumulate and provides easy "flushing" (cleaning) of the valve. 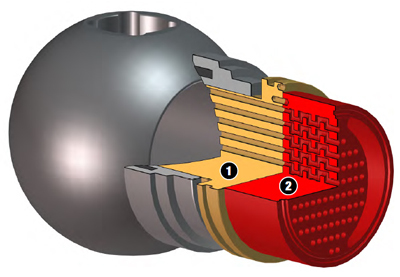 In a trunnion mounted ball valve, the valve stem is mechanically attached to the ball. Trunnion mounted valves are mostly used in applications on large diameter gas and oil pipelines and at high pressures. Most ball valves however, are designed with a “floating ball” and not held mechanically in place by a trunnion. This allows the ball to be "pushed" slightly downstream and seal itself better against the seat. One advantage to this design is that a valve using a floating ball, and fitted with metal seats, can be used for "fire-safe" applications. This means that if the valve is subject to high temperatures, such as those presented in a fire, the "soft" part of the seat will melt away, and allow the ball to secure itself against the metal seat, and thus not allow material to pass and potentially feed the fire. For best service life and optimum safety, please review your application with a qualified ball valve applications consultant prior to specifying an industrial ball valve.